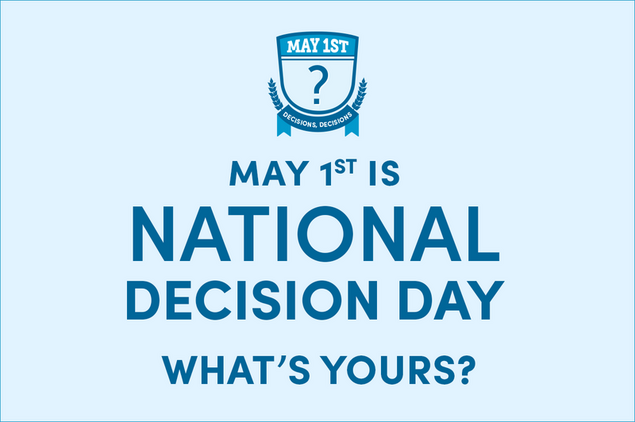 May 1st is National Decision Day which means the pressure is on for high school seniors to make final college decisions. That's why we thought it might be helpful to create a list of Fastweb users' all time favorite articles that detail guides on how to make better college decisions. That way, you'll know you're making the best decision possible! Here's an all-inclusive helpful guide of ten articles which will help make your final college decision easier so you can relax once May 1st, National Decision Day, rolls around. Where did you decide to go to college?